55 years, Indonesian Citizen, domiciled in Jakarta. Studied in Fu Hsing Kang College, Taipei, Taiwan. Obtained Doctoral Degree in Philosophy of Science, University of Indonesia, Master Degree in Public Planning and Policies, University of Indonesia, and Bachelor Degree in Political Science, University of Indonesia. Appointed President Commissioner/ Independent Commissioner of BRI for the first term since 15 March 2017 pursuant to the Annual GMS resolution and has passed the fit and proper test based on OJK Letter No. SR-123/PB.12/2017 dated 21 July 2017. He also serves as Chairman of the Nomination and Remuneration Committee, Chairman of the Risk Management Oversight Committee, and Member of the Integrated Governance Committee of BRI. 56 years, Indonesian Citizen, domiciled in Jakarta. Obtained Doctoral Degree in Strategic Management from the University of Padjadjaran, Bandung (2016), Master Degree in Accounting and Financial Information System from the Cleveland State University, Ohio, United States (1993), and Bachelor Degree in Accounting from State Accounting College (STAN) in 1989. 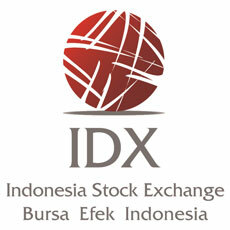 Currently serves as Deputy of Financial Services to The Ministry of State Owned Enterprises (2013-present). He previously served as Commissioner of PT Pertamina (Persero) (2014-2015), Commissioner of PT Telekomunikasi Indonesia (Persero) Tbk (2013-2014), Commissioner of PT Jiwasraya (Persero) (2008-2012), and Commissioner of PT Adhi Karya (Persero) Tbk (2007-2012). Appointed Vice President Commissioner of BRI for the first term since 19 March 2015 pursuant to the Annual GMS resolution and has passed the fit and proper test based on OJK Letter No. SR-99/D.03/2015 dated 1 June 2015. He also serves as Member of the Nomination and Remuneration Committee, and Member of the Integrated Governance Committee of BRI. 62 years, Indonesian Citizen, domiciled in Jakarta. Obtained Doctoral Degree in Economics from Vanderbilt University, Tennessee, US (1997), Master of Arts, from Duke University, Durham, North Carolina, US (1987); and Bachelor Degree in Economics from University of Indonesia, Jakarta (1981). He previously served as Director General of Taxation, The Ministry of Finance (2011-2014), Commissioner ex-officio, The Deposit Insurance Agency (LPS) (2009-2014), Non Executive Member Board of Commissioners, Indonesian Export Financing Agency (2013-2014), Head of The Capital Market and Financial Institutions Supervisory Agency (Bapepam-LK) (2006-2011), Commissioner of PT Danareksa (Persero) Tbk (2001-2006), and Head of Management of State Bonds, Ministry of Finance (2001-2004). Appointed Independent Commissioner of BRI for the first term since 19 March 2015 pursuant to the Annual GMS resolution and has passed the fit and proper test based on OJK Letter No. SR-85/D.03/2015 dated 19 May 2015. He also serves as Chairman of the Audit Committee, Member of the Nomination and Remuneration Committee, and Member of the Risk Management Oversight Committee of BRI. 59 years, Indonesian Citizen, domiciled in Jakarta. Obtained Doctoral Degree in Philosophy, The Higher Institute of Philosophy, Katholieke Universiteit Leuven, Belgium (1995), Master Degree in Philosophy, The Higher Institute of Philosophy, Katholieke Universiteit Leuven, Belgium (1992), and Bachelor Degree in Philosophy, Institute of Philosophy Driyarkara (1988). 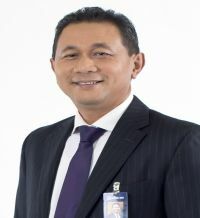 Currently serves as Member of The National Energy Council (2014-current) and Lecturer at Atmajaya Catholic University (1988-current). 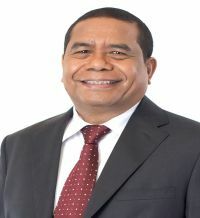 He previously served as Adjunct Lecturer of the Doctoral Degree Program, Environmental Studies, University of Indonesia (2001-2014), Member of The People's Representative Council (2004-2009), and Minister of Environment (1999-2001). Appointed Independent Commissioner of BRI for the first term since 19 March 2015 pursuant to the Annual GMS resolution and has passed the fit and proper test based on OJK Letter No. SR-98/D.03/2015 dated 1 June 2015. 59 years, Indonesian Citizen, domiciled in Jakarta. Obtained Master Degree in Finance Management, University of Padjajaran, Bandung (2003) and Bachelor Degree in Economics, University of Diponegoro, Semarang (1982). 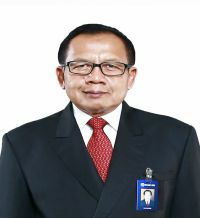 He previously served as Senior Advisor, Strategic Support Group to the Board of Commissioners, Financial Services Authority (OJK) (2016), Head of The Department of Bank Supervision I, Financial Services Authority (2013-2016), and Head of The Department of Bank Supervision I, Bank Indonesia (2013). Appointed Independent Commissioner of BRI for the first term since 23 March 2016 pursuant to the Annual GMS resolution and has passed the fit and proper test based on OJK Letter No. SR-40/PB.12/2017 dated 3 March 2017. He also serves as Chairman of the Risk Management Oversight Committee, Chairman of the Integrated Governance, and Member of the Nomination and Remuneration Committee of BRI. 46 years, Indonesian Citizen, domiciled in Jakarta. Obtained Ph.D. in Economics from Université de Paris 1 Panthéon Sorbonne, Paris (2005), D.E.A (M.Phil) from Université de Paris 1 Panthéon Sorbonne, Paris (2002), Master Specialist in Public Finance from French Prime Minister, Institute International d' Administration Publique (IIAP) - Ecole National d' Administration (ENA) (2000), Bachelor Degree in Political Science from the University of Gajah Mada, Yogyakarta (1990), and Bachelor Degree in Economics from the University of Islam Indonesia, Yogyakarta (1993). Currently active as Lecturer and Researcher in the Economics Faculty of University of Indonesia. Previously served as President Commissioner of PT Hotel Indonesia Natour (Persero) (2015-2017), Service Committee and Membership & Organizational Performance and HR Committee at BPJS Employment (2015-2017), Task Force of Municipality, Transmigration and Underdeveloped Regions Ministry (2016-2017), Task Force of Energy and Mineral Resources Ministry (2014-2015), Audit Committee & Risk Committee at PT POS Indonesia (2012-2015) and Business Head of Indonesia Intelligence Unit (2008-2013). Appointed Independent Commissionerof BRI for the first term since 18 October 2017 pursuant to the Extraordinary GMS resolution and currently under the process of fit and proper test from OJK. She also serves as Member of the Audit Committee, and Member of the Nomination and Remuneration Committee of BRI. 63 years, Indonesian Citizen, domiciled in Jakarta. Obtained Doctoral Degree in Economics from University of Merdeka, Malang (2010), M.Sc. Degree in Agricultural Economics from Oklahoma State University, USA (1999), Master Degree in Business Administration (MBA) from European University, Belgium (1989) and Bachelor Degree in Economics Development from University of Sam Ratulangi, Manado (1980). 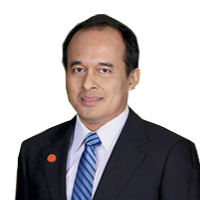 Currently serves as Vice Chairman, SOE Cooperation Development, Chamber of Commerce and Industries (KADIN Indonesia) (2016-current). 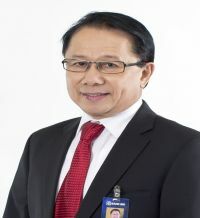 Previously served as Business and Investment Advisor to The Chairman CT Corp, Bank Mega Group (2012-2015), President Director of Bank Sulawesi Utara (2010-2012), Marketing Director of Bank Sulawesi Utara (2008-2009), and General Director of PT Bank Sulawesi Utara (2007-2008), and Operations Director of Bank Mitraniaga (1991-1992). Appointed Commissioner of BRI for the first term since 19 March 2015 pursuant to the Annual GMS resolution and has passed the fit and proper test based on OJK Letter No. SR-137/D.03/2015 dated 3 July 2015. He also serves as Member of the Risk Management Oversight Committee, and Member of the Nomination and Remuneration Committee of BRI. 45 years, Indonesian Citizen, domiciled in Jakarta. Obtained Doctoral Degree in Political Science, Northern Illinois University, USA, Master Degree in Political Science, Ohio University, Ohio, USA, and Bachelor Degree in International Relations, University of Gadjah Mada, Yogyakarta. 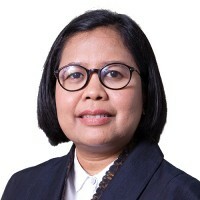 Currently serves as Expert staff, State Secretary Political and Institutional Communication (2015-current), Commissioner of PT Permodalan Nasional Madani (Persero) (2015-current), and Lecturer, University of Paramadina Jakarta (2012-current). Previously served as Researcher, Centre for Strategic and International Studies (1996-2012). Appointed Commissioner of BRI for the first term since 15 March 2017 pursuant to the Annual GMS resolution and has passed the fit and proper test based on OJK Letter No. SR-123/PB.12/2017 dated 21 July 2017. 56 years, Indonesian Citizen, domiciled in Jakarta. Obtained Doctoral Degree in Law, Padjajaran University, Bandung, Master Degree in Law, Harvad University, USA, and Bachelor Degree in Law, Padjajaran University, Bandung. 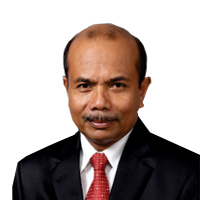 Currently serves as General Secretary, Ministry of Finance (2015-2018). 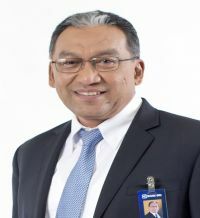 Previously served as General Director of State Assets (2006-2015), and Head of Bureau of Law, General Secretariat (2006).